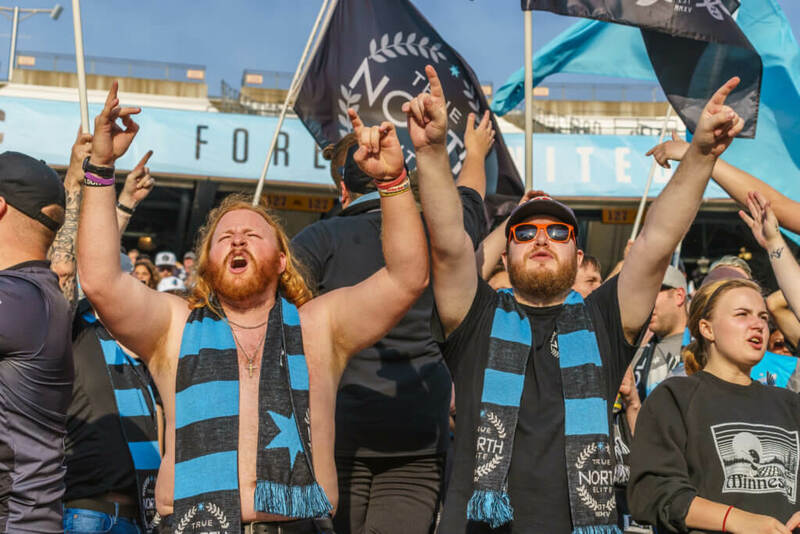 The Minnesota United are off to a fantastic start in the 2019 MLS season after winning their first two games on the road. 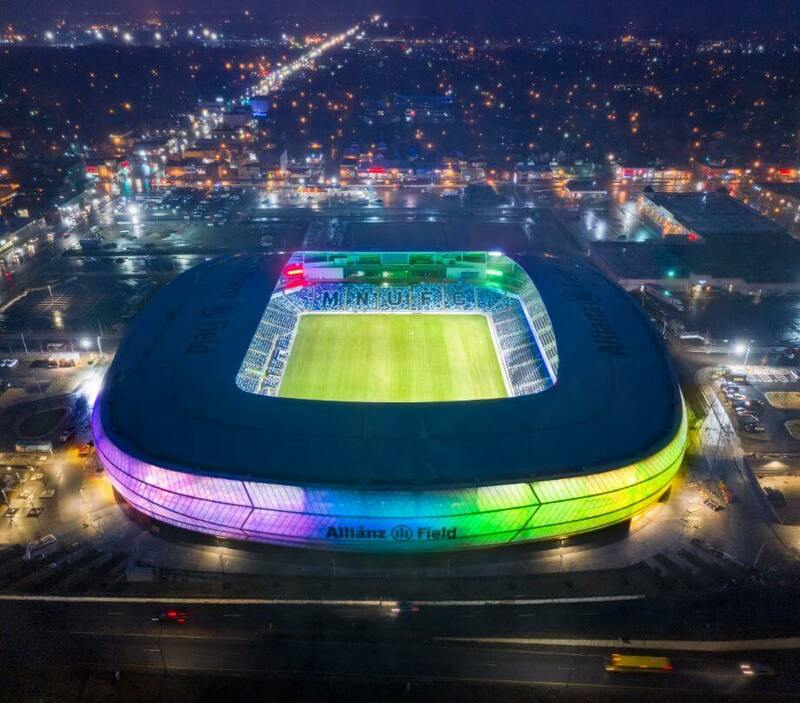 They will play three more games before bringing it home to the all-new Allianz Field on April 13. The United had previously been playing at the University of Minnesota’s TCF Bank Stadium since they began playing in Major League Soccer in 2017. Although their home-opener game is sold out, you will want to make it to one of the other sixteen home games this season to see all there is to see at the new home of the Loons. Construction on Allianz Field began in June of 2017 and lasted almost two years. It joins the Allianz family of stadiums as the eighth in the world—joining others in Germany, Australia, the U.K., France, Brazil, Austria, and Italy. According to their website, Allianz Field is “sustainably-designed to minimize environmental impact,” which includes recycling rainwater, an all-natural grass playing field, and creating a bird-safe structure. There are seventeen different types of seats and service offerings for fans to enjoy the game, with the furthest seat from the pitch only 125 feet back! One feature that many fans are excited about is the Brew Hall on the north side of the stadium which will feature nearly 100 local beer taps and open up to the stadium with game viewing available from a deck. Soccer is a huge sport and pastime worldwide. America has been slow to join the frenzy, but Major League Soccer is finally starting to take off here. Even if you’re not yet a fan, you should definitely check out the stadium and a game this year. It’s a fun way to spend a nice spring or summer day! Make a trip out of it, and stay in Roseville. Allianz Field is just down the road, and Roseville offers some of the closest hotels to the stadium. You’ll love how easy it is to get there and the free parking at Roseville hotels. Are you jumping on the soccer bandwagon and planning to attend a MN United game this year? Let us know in the comments below or at our Facebook or twitter accounts. We plan on attending a soccer game this season. Awesome, you will have so much fun!